The cryptocurrency market has been facing a “Great Depression” over the last eight months. Cryptocurrency investors lost interest in Bitcoin once its price broke ATH in December 2017. Unfortunately, Ethereum also failed to hold its stability during this time and has largely wasted the funds it collected as the crypto market capitalization dropped like a stone. Now, each month is a new test for the crypto-community and for large venture companies. We talked to ICONOMI in order to understand the criteria that projects needed to meet now, so they can get an investment. The ICONOMI platform provides a service through 40 managers (as of now) who manage baskets of digital assets, including cryptocurrencies. These baskets are called Digital Asset Arrays (DAAs). These DAA managers try out strategies and share those that win with the users of the ICONOMI platform. The managers are pulled from 20 countries all over the world, and they each use their own different strategies. The DAAs capitalization is greater than $45m. 53% of these DAAs performed better than Bitcoin in Q2 2018. 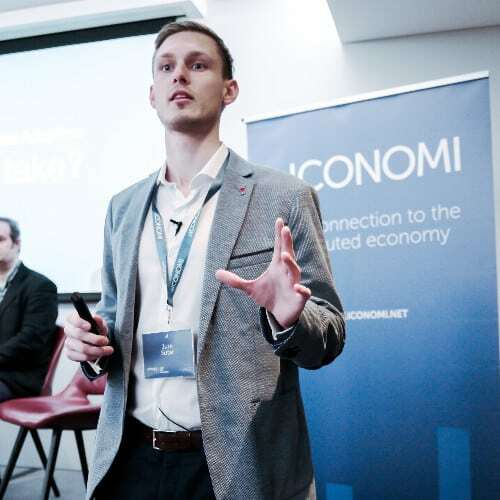 Jure Sutar, the head of DAA Department at Iconomi, is a graduate of universities in Slovenia and South Korea. He was also on the global MBA program at the Yonsei School of Business. In Iconomi, Jure is creating a digital asset management ecosystem and helping broaden the knowledge of tokenization and the massive potential for blockchain. What are the current main criteria for blockchain funds when choosing an investment object? What features should a project have to enthuse you? From the conversations I’m having with our DAA managers, I would say most of them take a traditional VC approach toward investing. That means they evaluate the idea, team members, token metrics, market conditions, and any other relevant indicators. What determines the amount of funds invested in the development of any project? Why are you ready to invest tens of millions of dollars in one project, whereas only a hundred or so in another? As mentioned above, projects are evaluated by DAA managers based on a set of criteria; these criteria are presented in managers’ DAA strategy descriptions. The amount of money invested is usually determined by how many criteria the project satisfies. Another thing worth pointing out is the ETH price. According to recent research, 57.43% of ICO projects are at the idea stage and do not have a final viable product. Is it important for you to have an MVP / fully-ready product? Having at least an MVP is very important because knowing that the idea can be implemented and works in real life is a crucial factor in evaluating a project. Which projects are more convenient to work with – projects that were relatively unknown at their beginning stage, but are bold technological startups like Ethereum or Binance, or other projects that have strong support from the very beginning, such as IMMO for example? There is no hard and fast rule: it changes from case to case. We do encourage and welcome anyone who contributes to the blockchain industry and manages to deliver a working product for their supporters. In the crypto community, everybody is talking about an ICO crisis more and more. However, it is mainly spoken of because of scams. Is this really the case or is it a made-up problem? Currently, we are in a bear market, which means we are witnessing more conservative approaches to investment throughout the crypto-economy. With more and more pre-sale options becoming available, we are witnessing a move to a VC-like world, as in the case of the Fantom project, which raised the majority of its assets in a pre-sale. While a new form for ICOs is taking shape, there are still major challenges, and it is clear that it will take time for the space to mature.